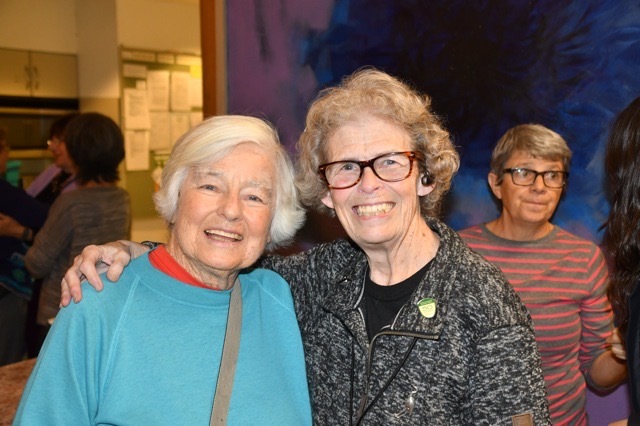 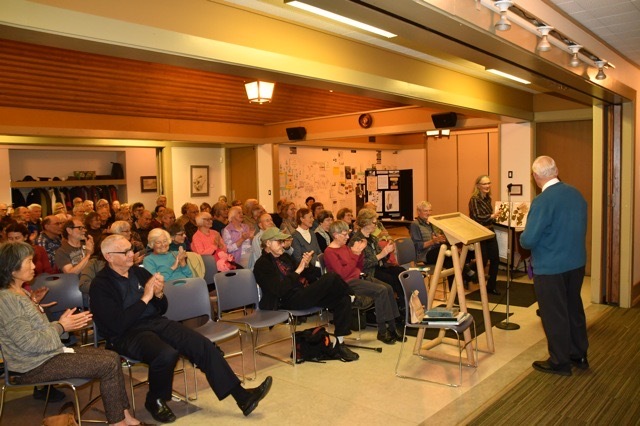 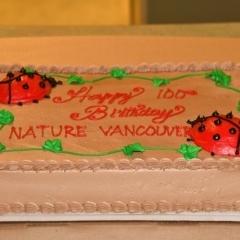 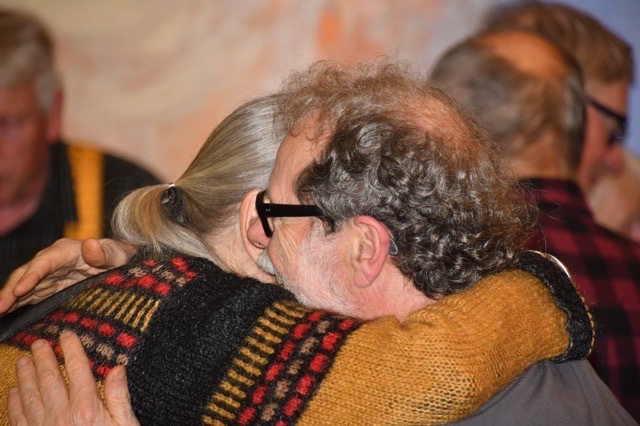 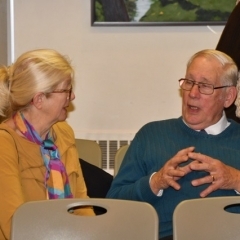 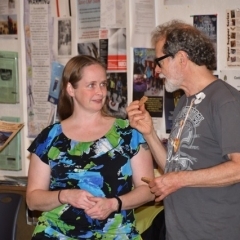 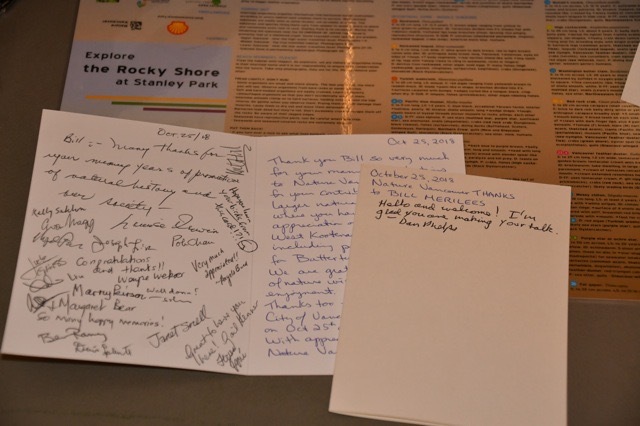 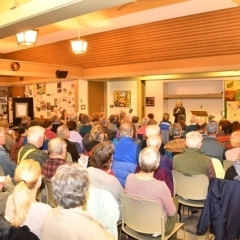 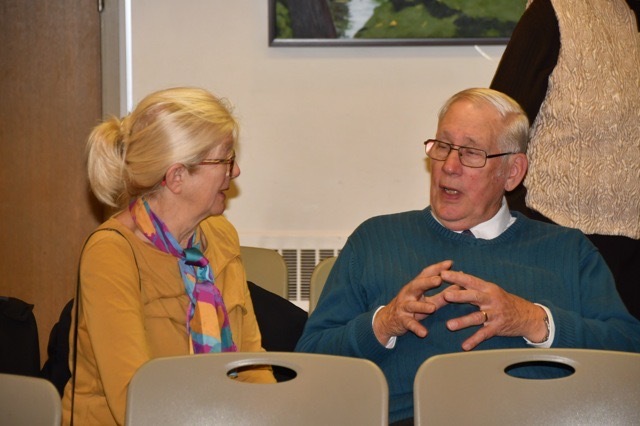 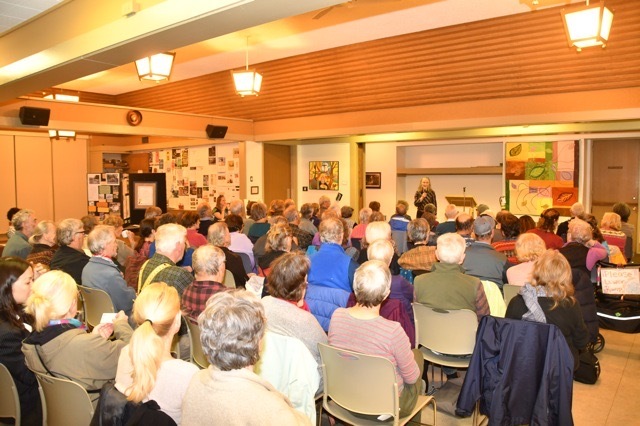 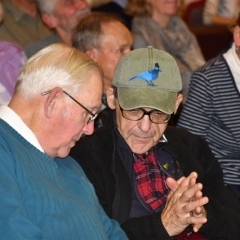 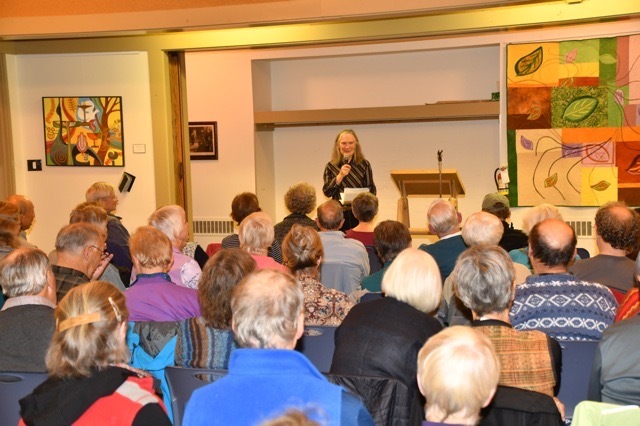 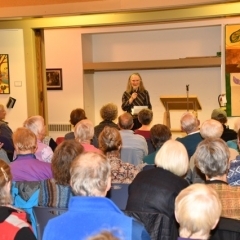 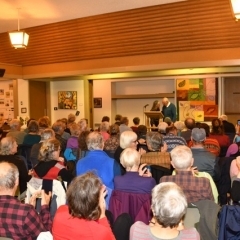 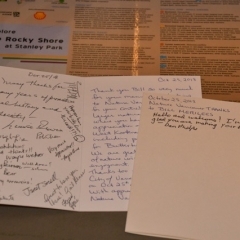 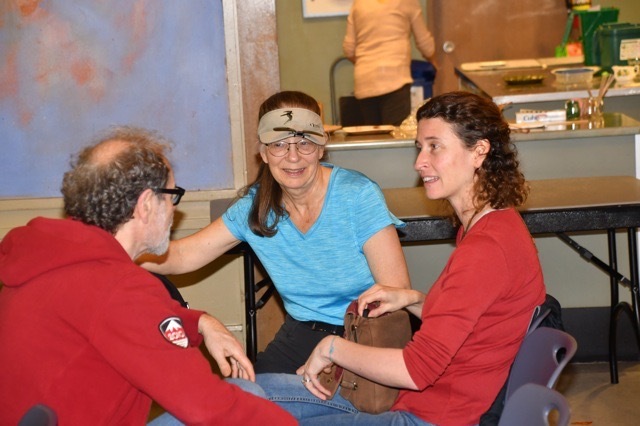 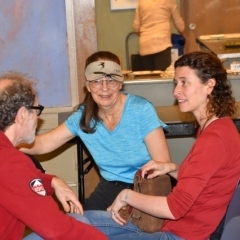 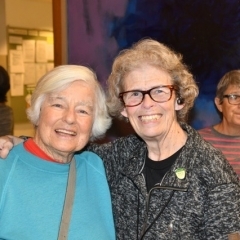 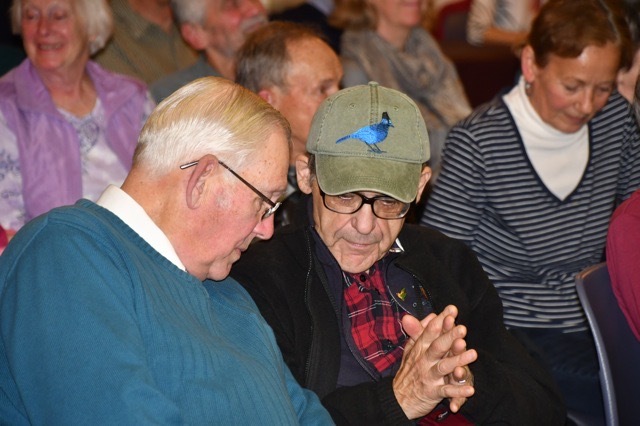 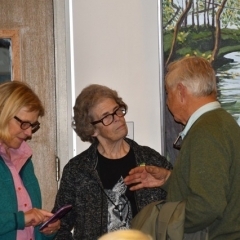 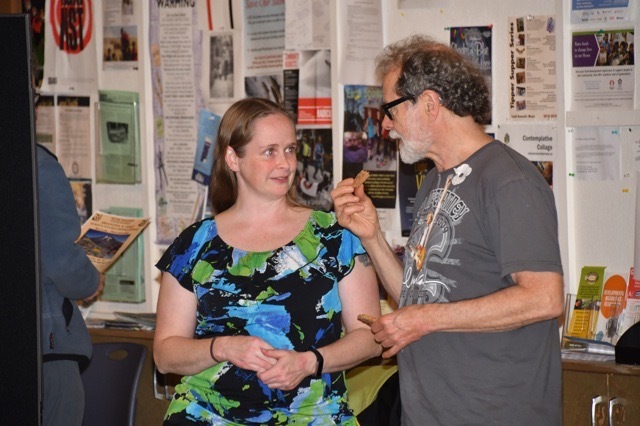 About 100 members attended a social gathering, on Oct 25, 2018, to celebrate the 100th year anniversary of Nature Vancouver. 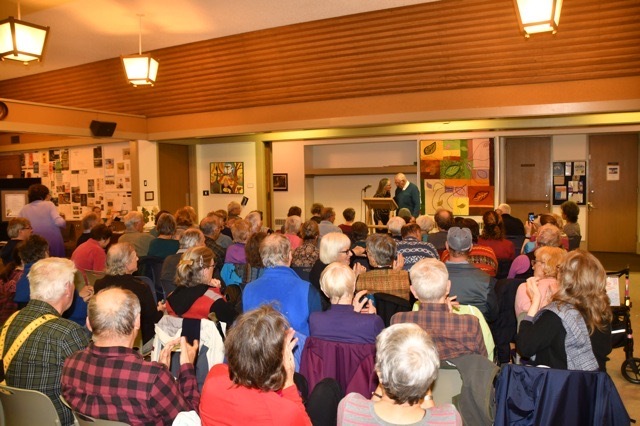 Bill joined Nature Vancouver (Vancouver Natural History Society) in 1953 and shared his perspective of our Society over the past century. 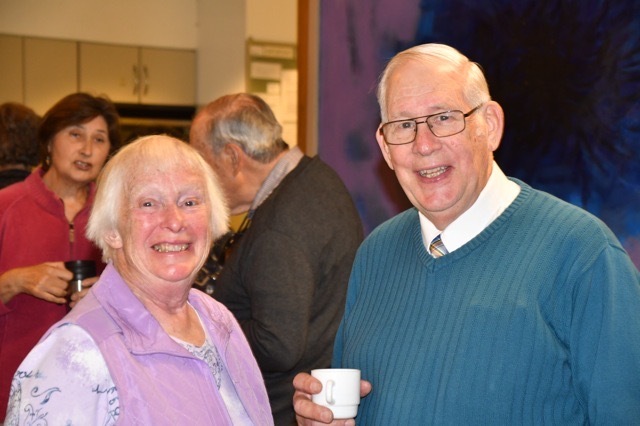 Bill reminisced about his association with many of the prominent members the Society during the last 65 years. 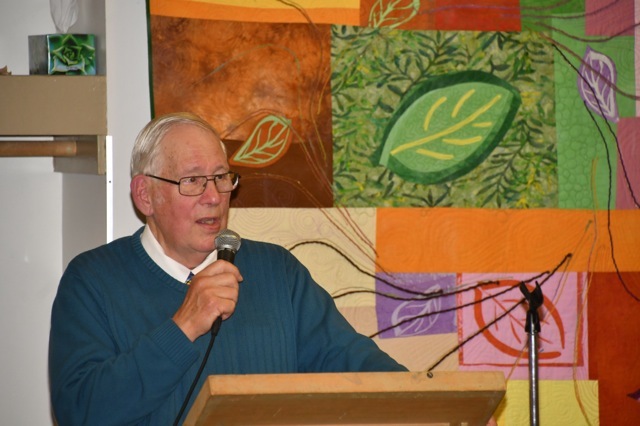 He also had interesting anecdotes to share about various events and activities of the society. 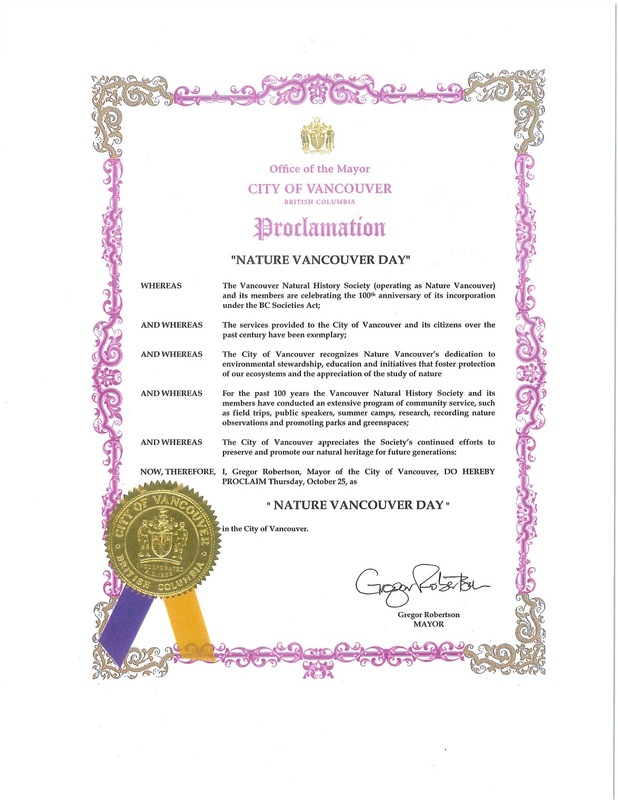 Recently, Bill was involved in encouraging the City of Vancouver to recognize our centennial by declaring Oct 25 as Nature Vancouver Day. 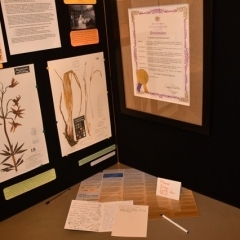 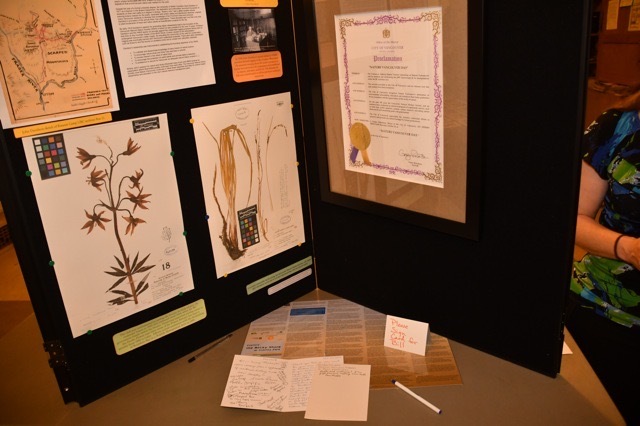 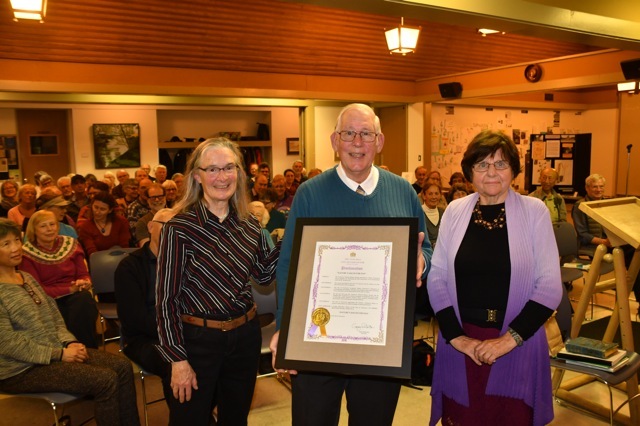 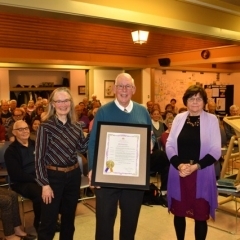 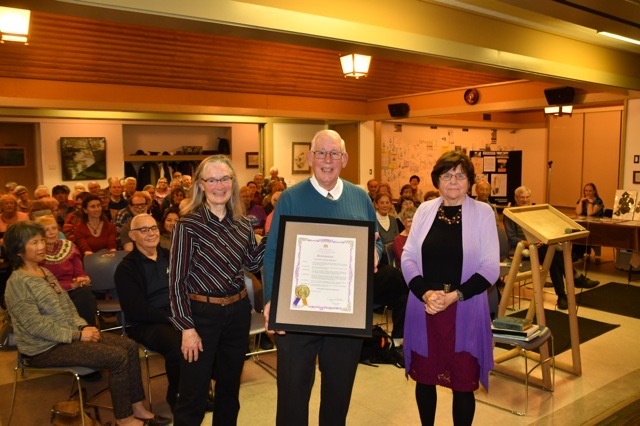 The framed proclamation certificate issued by the City in recognition of Nature Vancouver’s 100th anniversary was presented to Bill with thanks for his contributions to the Society. 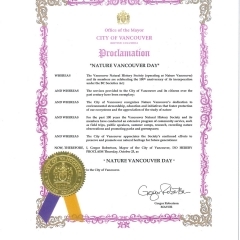 Click HERE to see a copy of the certificate. 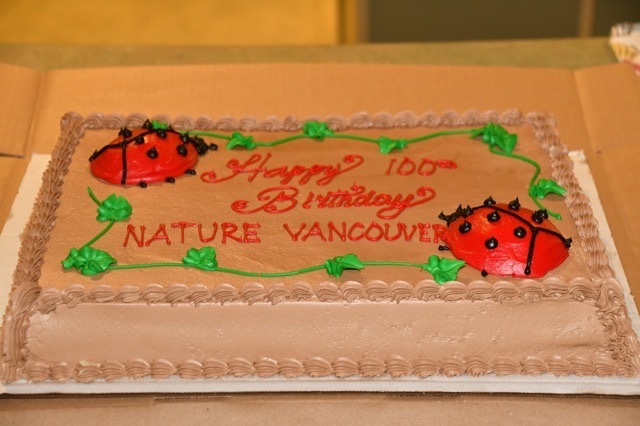 Many thanks to Bev Ramey, Janet Snell, Cynthia Crampton, Angela Bond, Linda Wong, Teresa Gagné and Joan Lopez for organizing the Social, arranging coffee and refreshments and a 100th Anniversary cake! 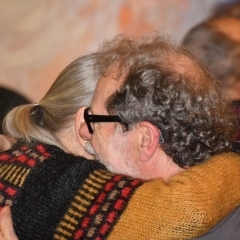 Click HERE for more photos by Joseph Lin. 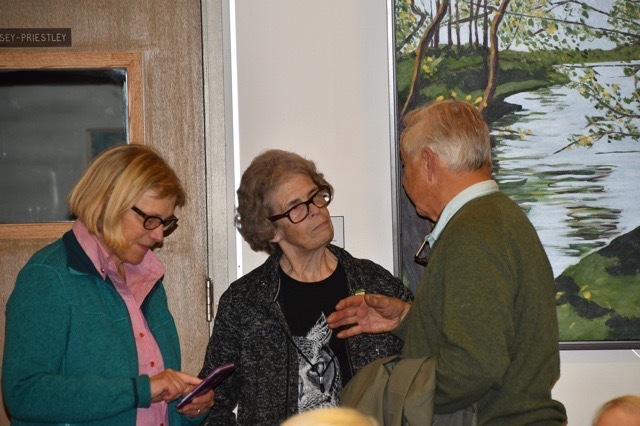 For photos by Ron Long, click on an image to enlarge it and to see the captions. 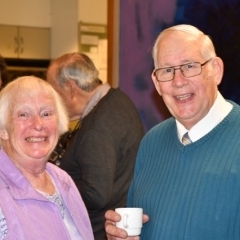 Place cursor on the photo and use left or right arrows on the screen or on your keyboard, to see other photos. 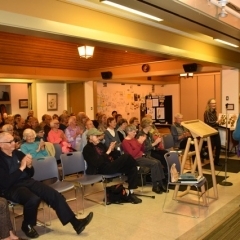 Use the link at the bottom of the page and scroll down to see a slide show.